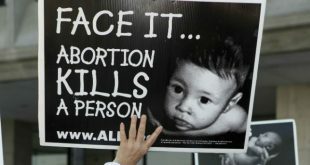 Secular Pro-Life Perspectives: What's wrong with killing? Suppose a cute toddler is playing in front of us, riding on a toy truck, laughing and having a great time. She may be my child, or she may be anyone’s child. And suppose I kill that toddler before your eyes. You will all be shocked, certainly. What I want to dig into here is what exactly has shocked us. I would like to submit that we would not have been shocked if not for our expectations that the life of that conspicuously alive child would continue in the next moment – and the moment after that, and the moment after that. Our shock will, by definition, consist simply of emotion and a pre-logical sense of wrongdoing. Logical analysis will not constitute any important part of our initial experience. And yet that gut experience, though it does not include analysis, can be subjected to analysis. We are shocked by the violence and the gore, but the violence and the gore mean what they do to us because subconsciously we understand their consequences. Their consequences are that I have deprived that child of her future. I have deprived all of us, but above all the child, of the life she would have had. Underlying our sense of wrongdoing, this was the real wrong. Suppose I killed that child with a sudden blow from behind. She did not experience pain. She did not experience fear. Yet nevertheless what I did was wrong. Some would say that I frustrated the child’s desire to live, but in fact her desire to live was “cured” in the moment that it was frustrated, so that the child never actually experienced frustration. The frustration that those people (such as Peter Singer) claim to be crucial was in fact purely theoretical. My brutal act did not result in any frustration, will not result in any frustration, and could not result in any frustration. The real wrong was that I deprived the child of the life she would have had, her future. Everyone agrees that to cause suffering is a form of harm, and if that harm is unnecessary, it is wrong to cause it. But if to cause suffering is wrong, then to deprive of pleasure, or the chance for pleasure, is also wrong. A “potentiality account” of the wrongness of killing is to be found in Indian philosophy, and has been developed in the West by Don Marquis. As mentioned, we expected that the life of that conspicuously alive child would continue in the next moment (let’s call it moment A) and for many moments after that. I deprived that individual of all that living, thus irreparably harming her, with a blow struck at moment A minus 1. But how else could I have caused that same harm to that same individual – or let’s say, how else could I have caused that same harm and even more to that same individual? Obviously I could have caused that same harm and even more to that same individual with a blow struck at moment A minus 2, or at moment A minus 3. I could have caused that same harm and even more with a blow struck just after the child’s birth. And, just as obviously, I could have caused such harm with a blow struck at the individual before the individual’s birth. I could have caused such harm with a blow struck at the individual just after fertilization. Whether or not we call that individual a “person” or a “human being” is completely irrelevant. I would be very comfortable calling it a “thingamajig.” The point is, whatever we may call it, if we kill it we clearly deprive it. When I kill the toddler playing with her toys, the deprivation of moment A is in the future only by a moment, and when I kill the zygote, the deprivation of moment A is in the future by a couple of years, but what difference does that make? The deprivation is farther removed in time, but would not the toddler killed while still a zygote have lived moment A, soon enough, just as intensely as the toddler killed while a toddler? Of course she would have. At either moment of killing, I have deprived that same individual of moment A and of a long string of moments, typically about eighty years of moments. They would not all have been moments of joy, certainly. Some would have been moments of great pain. But some would have been moments of joy, and all would have been moments of moral training and search for meaning. Could I also have caused such harm to that same individual earlier than fertilization? No. Because before fertilization there was no such individual. There was a sperm, and there was an egg. The maximum possible harm that I can do to a sperm is to deprive it of some moments of sperm life. (And the maximum possible harm that I can do to an egg is to deprive it of some moments of egg life.) I don’t think that we should kill a sperm just for the fun of killing it, but the moments that we deprive it of, in killing it, cannot be compared in value to the toddler’s moment A, B, etc. ; so we can kill it for any utility of human beings, whereas there is very little that can justify depriving any individual of moments such as A and B. A sperm is an individual biological entity for whom, as an individual entity, there is no expectation that it will ever experience a moment like moment A. An egg is an individual biological entity for whom, as an individual entity, there is no expectation that it will ever experience a moment like moment A. Of course if I kill a particular egg or the particular healthy sperm that is ahead of the pack in racing toward the egg, I prevent our toddler from coming into existence and thus prevent her moment A, B, etc. from ever occurring. But have I harmed anyone, have I wronged anyone – and if so, whom? Our moral intuitions say that harms can be done only to actual individual entities, not to theoretical individual entities. I have only harmed a theoretical individual entity, not any actual individual entity. (That is, the only actual individual that I harmed was the sperm or the egg, and as mentioned it had little to lose, so the harm wasn’t great.) By killing the individual toddler, or that individual toddler while still a zygote, did I take away from her that moment she was going to have, riding on the truck and laughing? Yes. By killing a sperm or an egg, did I take away from any individual that moment riding on the truck and laughing? No, the individual we’re talking about, the individual who can be deprived of a moment on a toy truck, and of many more moments of pleasure and pain over the 75 years that follow that moment, never exists if the meeting of sperm and egg does not occur. It is to be observed that those who argue “If killing zygotes is wrong, then killing sperms and eggs is also wrong” invariably think that it is not wrong to kill sperms and eggs. And yet they agree that we cannot kill toddlers, and as we have seen, the wrongness of killing toddlers cannot be explained by pain, fear, or desire to live. So they are left with no explanation as to what is wrong with killing a toddler.